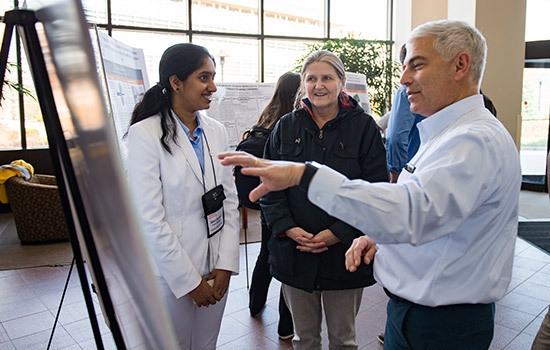 The RIT Graduate Showcase takes place from 8 a.m. to 4 p.m. Friday, Nov. 3, in Louise Slaughter Hall and the Golisano Institute of Sustainability and features posters, presentations and demonstrations. Rochester Institute of Technology master’s and Ph.D. students will demonstrate their latest work with posters, presentations and demonstrations in a multidisciplinary display of research, scholarly work and artistic expression. The RIT Graduate Showcase takes place from 8 a.m. to 4 p.m. Friday, Nov. 3, in Louise Slaughter Hall and the Golisano Institute of Sustainability. The event is free to attend and open to the public, but registration is required by Friday, Oct. 27. 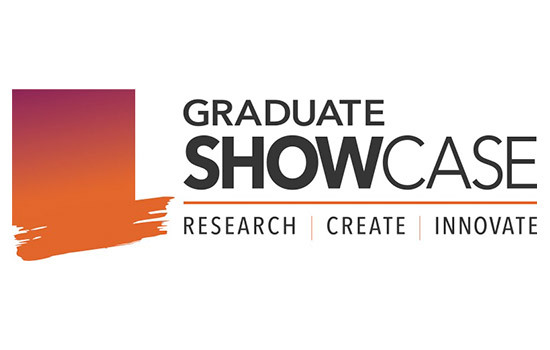 The RIT Graduate Showcase, hosted by RIT’s Office of Graduate Education, will offer an opportunity to recognize and highlight creative, innovative and entrepreneurial research and scholarship by graduate students from all colleges at RIT. Currently RIT has about 3,200 graduate students enrolled in more than 100 graduate programs. RIT President David Munson, whose current research is focused on radar imaging and computer tomography, will deliver the keynote address at noon. The event will also include traditional research presentations, group project discussions, engineering and design demonstrations, and visual arts presentations. Graduate students from all majors at RIT are encouraged to submit proposals or posters to present at the showcase. Proposals must be submitted online by Friday, Sept. 29. To learn more about the RIT Graduate Showcase, register to attend or submit a proposal, go to www.rit.edu/academicaffairs/graduateshowcase/.